From weddings to prom and everything in between, be certain you’re choosing the perfect company for your needs. June 23, 2017 (Miami, FL) – In Miami as well as most other places throughout Florida, the sun and heat can get to people quite often. No matter what function is taking place soon, it’s a good idea to have the right transportation option available. 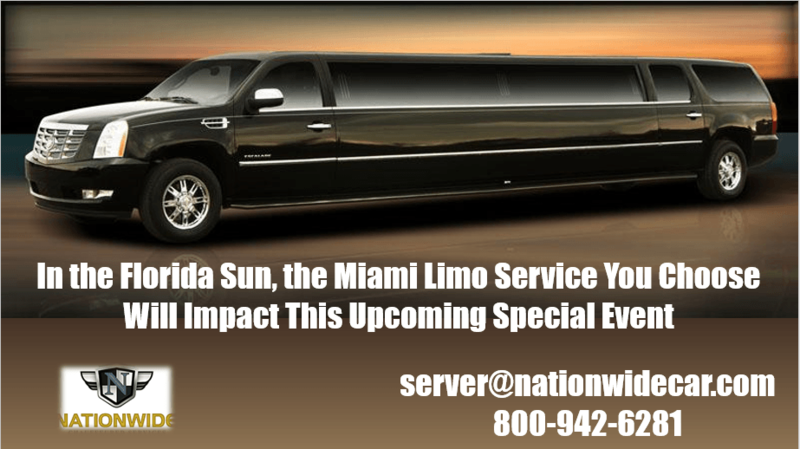 When looking for a Miami limo service, no other company is better equipped to handle just about any function and any size group than Nationwide Chauffeured Services. There is certainly a company that’s perfect for any of your needs, and when you’re talking about transportation services. Whether it’s a party bus rental Miami, a stretch limo for a wedding, or a Lincoln Town Car to get clients to or from the airport, Nationwide Chauffeured Services is ideally suited to handle these needs. They have been around for more than 25 years as a family owned and operated company. They provide immediate billing and can handle last-minute reservations for groups of just about any size. Even if a person waits until the last minute to try and find a Miami charter bus rental service, all they have to do is contact Nationwide Chauffeured Services and they will have a company ready to take care of their transportation needs. This company can handle local trips as well as out-of-state adventures. Heading up to Disney World? That’s no problem with Nationwide. Wanting to go to New York City on a long bus ride? Nationwide can handle that, too. 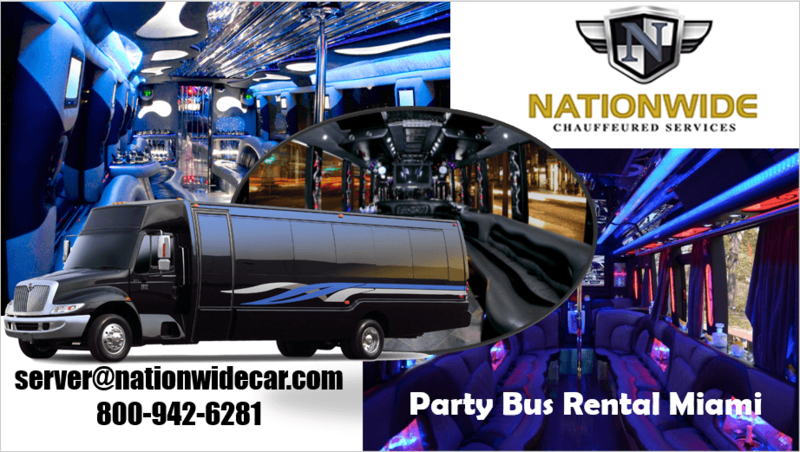 As a Miami charter bus company, they have one of largest fleets of available limos and buses and highly dedicated, safe, and professional drivers who know the area well. And can provide a great tour for people visiting the area or those looking for something a little bit different for an afternoon or evening get away. 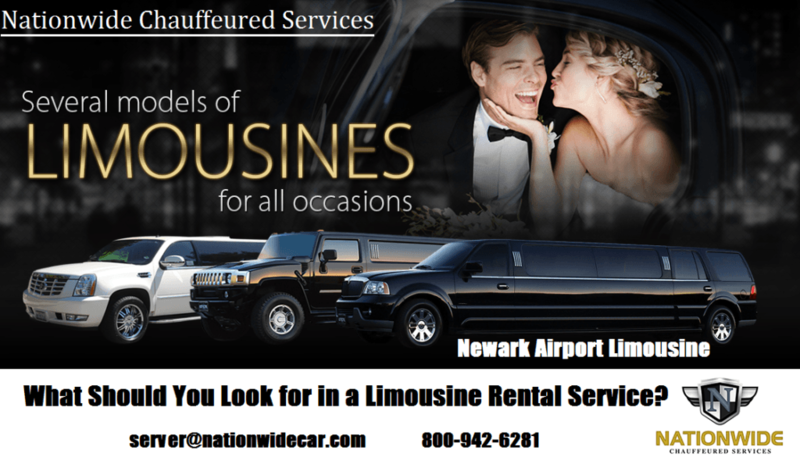 Whether it’s for a sporting event or concert or some other special occasion, friends, family, or corporate employees, for example, Nationwide Chauffeured Services is the perfect choice for any transportation needs. People can make a reservation online by visiting their website, at www.nationwidecar.com, or calling them 24/7 at 800.942.6281.